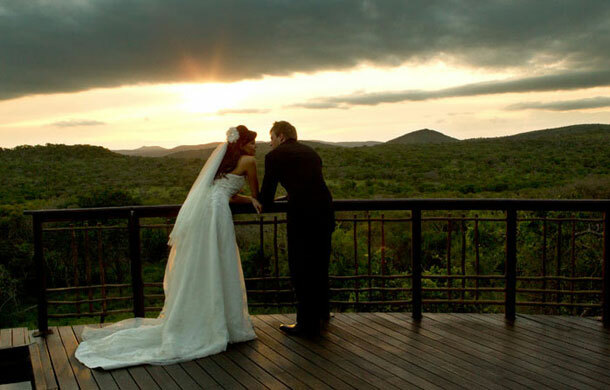 Thanda in Hluhluwe is an exquisite venue for a honeymoon or a bush wedding. All co-ordination requirements will be taken care of by the lodge, from the legal documents to arranging an ordained minister, ensuring that the most special day of your life is totally unforgettable and stress-free. 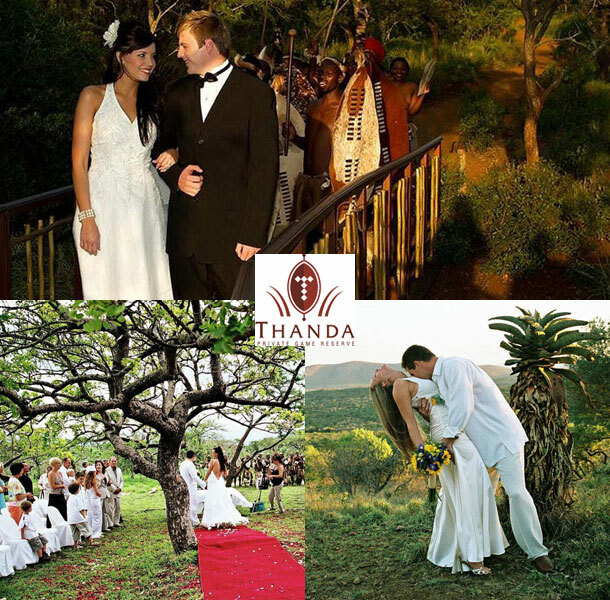 Thanda can accommodate a maximum of 26 guests, however the lodge is able to cater for more guests for the wedding ceremony and reception, and would assist in finding additional accommodation nearby if required. Thanda is the perfect setting to rediscover romance, with romantic turndowns, candlelight’s, bush dinners lit by paraffin lamps whilst your ranger keeps a watchful eye for any wildlife, private splash pools, your own sala where you can sleep under the stars during the night listening to a lion roaring or take a nap after lunch whilst impalas graze below you, private bomas for romantic dinners with your own fireplace, relaxing massages at the wellness centre, excellent wines, foam baths with candlelight’s and champagne and outdoor showers that can be used in the magical African night. Our aim is to spoil you and provide ultimate privacy. hi, please would you send me a quote for 50-70people. Do you do picnic weddings, and what does your package include? Please could you also send me the meal/menu options aswell. Hi Yonande. You should contact the lodge directly, you can send an enquiry from the contact details in the post. Enjoy all the planning!